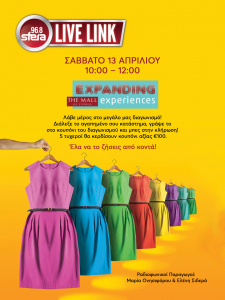 You thought that you’d seen everything, but the renewed Mall of Cyprus is coming to give you even more choices in fashion, entertainment and leisure! Our doors open on 28 March, but our opening celebration events continue! This weekend 13 and 14 April, all our visitors will have the opportunity to participate in our Expanding Experiences Opening Competition. 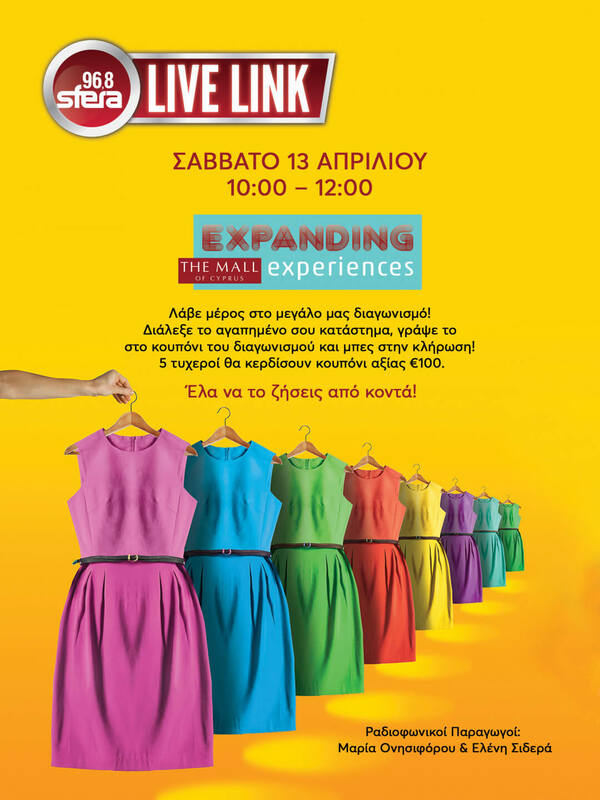 Participation is easy: you fill out your details in the competition coupon, and also write the name of your favourite Mall of Cyprus shop. 5 lucky winners will get one hundred-euro voucher each for their favorite shop! 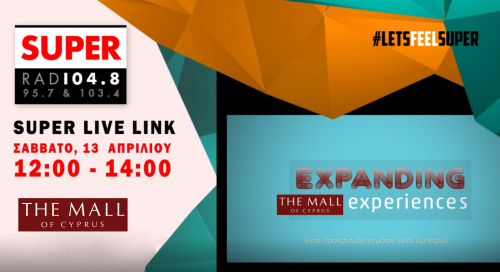 On Saturday you can also enjoy a series of Live Links by popular radio producers: Sfera 96.8 at 10am, Super FM at 12pm, and Klik FM at 2pm.